New Delhi: The Advertising Standards Council of India (ASCI), the industry’s self-regulatory body, has asked the government for statutory powers that will make its decisions binding on advertisers. “We have been in existence for 26 years; we are doing a good job. What we need is more teeth," said Alan Colaco, secretary general, ASCI. “The government can set the rules but leave the assessment of whether the advertisements are in consonance with the rules, or not, to us." An information and broadcasting ministry official said the proposal to grant statutory powers to ASCI was received two months ago. “At the moment, ASCI is a purely self-regulatory body, which can give advisories that sometimes advertisers listen to, sometimes ignore. Through the proposal sent to the ministry, ASCI wants more statutory powers," the official said on the sidelines of a daylong conference organized by ASCI to discuss issues of self-regulation. Becoming a statutory body will allow ASCI to have independent control, take decisions that will be binding on advertisers, and will give it well-defined powers and functions to operate, said the official, asking not to be identified. However, the move could take time as making any body statutory requires an act of Parliament, he added. Colaco said that while ASCI had control over television advertisements through its code for self-regulation in advertising, which was a part of the ad code under the cable television Act’s rules, the same “legal backstop" was also needed for print, radio and out-of-home media such as billboards. An amendment in the Cable Television Networks (Amendment) Rules, 2006, states: “No advertisement which violates the Code for Self-Regulation in Advertising, as adopted by the Advertising Standards Council of India, Mumbai, for public exhibition in India, from time to time, shall be carried in the cable service." I. Venkat, chairman of ASCI, said the body was also trying to increase its membership to make itself more effective. “It should become a bigger entity, though it already covers 75% of the advertising sector," he said. ASCI can be more potent even as a self-regulatory body, said Akhila Sivadas, managing trustee and director, Centre for Research and Advocacy, which engages in media monitoring. “It is not a body that is reflecting what are called consumer ethics. It is creating competition (among advertisers), which it is not essentially meant for," Sivadas said. “It needs to develop increased partnerships with civil society groups, create a research and development body to specifically look at just how claims (in advertisements) were exaggerated." Creative heads also say that ASCI has powers but needs a better a combination of people from the advertising and client sides. Piyush Pandey, executive chairman and creative director (South Asia), Ogilvy and Mather Pvt. Ltd, said the industry needs to meet more often to discuss issues related to ethics in advertising content. “ASCI is doing a good job. However, it has less representatives from the industry," Pandey said. 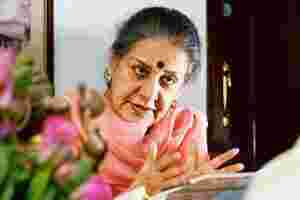 Information and broadcasting minister Ambika Soni said on the sidelines of the conference that ASCI was already “a part of our inter-ministerial mechanisms that studies advertising content". Soni said ASCI’s prime concern should be to reduce the time taken in acting on the complaints it receives. A total of 777 complaints against 190 advertisements have been received this year, compared with 200 complaints against 159 advertisements last year, the minister said. “There’s a need to facilitate a quick corrective mechanism." Between April and June this year, ASCI upheld complaints through the consumer complaints council against 27 advertisements from sectors such as consumer goods, education, healthcare, direct-to-home services and media. Many complaints were on grounds of misleading consumers and representing sections of people in poor light.